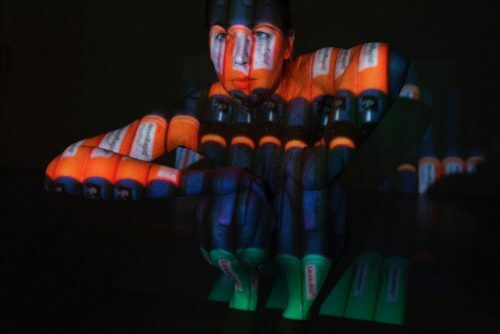 India Roper-Evans’ ‚Bodyscapes‘ is an artistic project that documents the relationship of the artist with the medication of her changed physical condition. She was diagnosed with Diabetes type 1 three years ago and with Mastocytosis, a rare skin condition, five years ago. 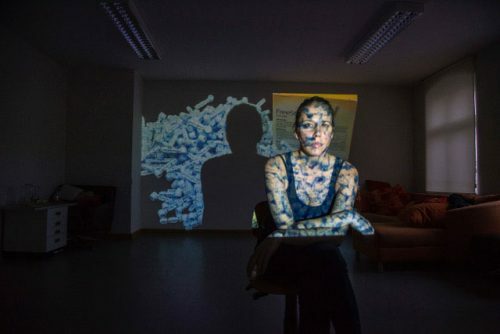 Since then she has been collecting and archiving her medication, in many cases of experimental nature, for both conditions and photographing them by type and brand. 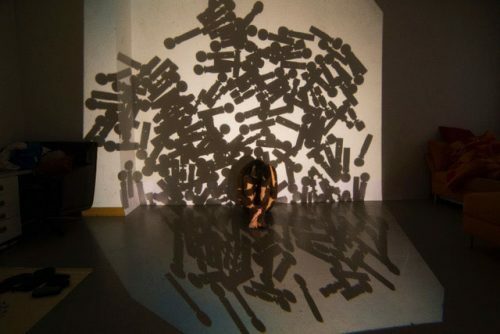 After collating all the images of all the medication she has taken over the years, she projects them onto herself and photographs and films the results. 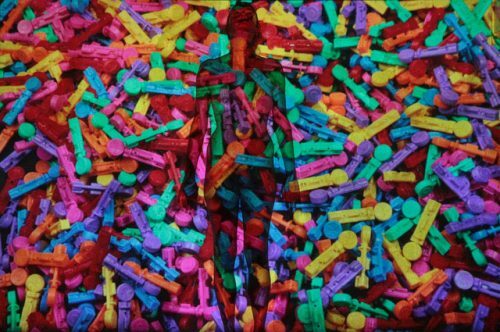 It is a way of visualising her internal illnesses by using her body as a tool to create these sometimes abstract, medical, plastic filled ‚Bodyscapes‘.